The time of year has come, as UK trance label Anjunabeats finally kicked off their 2019 North American tour during Miami Music Week and is set to continue on to some of the nation’s most prominent cities. With the tour’s tremendous success in previous years, there is no doubt that this year’s installment of purely Anjuna-infused back-to-back shows will be another one for the books. The tour exhibits a plethora of the label’s many talented all-stars, with a diverse lineup variation at each particular show. Ajunafam, prepare to witness all the beautiful live sounds this tour has to offer from artists like Alpha 9, Andrew Bayer, ARTY, Audien, Gabriel & Dresden, Genix, Grum, ilan Bluestone, Jason Ross, Mat Zo, Oliver Smith, Qrion, Spencer Brown, Sunny Lax, Tinlicker, and Yael. It’s a dream come true for all you trance aficionados out there. After a twelve day hiatus following its Miami Music Week kick-start, the tour will be picking back up on Friday, April 12th in Austin, Texas right before making its way to Washington, D.C. the following night. Taking place at the renowned Echostage nightclub in the heart of our nation’s capital, this tour stop in particular is sure to be a remarkable one. The Anjunabeats showcase at Echostage has been a fan favorite since the label’s tour concept launch a few years back, and we promise nothing short of groundbreaking this time around either. Following its significant Washington D.C. stop, the tour will traverse across Denver, Vancouver, Montreal, and Brooklyn for one night each. 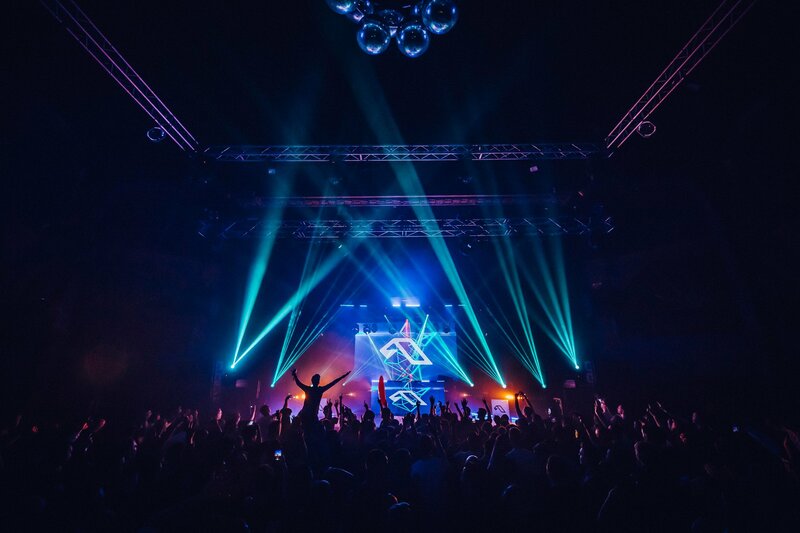 On top of the tour’s single dates scheduled, Anjunabeats has also included two separate “weekenders” (as they call it), both in Los Angeles and San Francisco. These exclusive weekender productions will hold two massive shows, each with its own distinct lineup. The Anjuna squad will also be heading to Tampa, Florida to take over their very own stage event series at Sunset Music Festival later in May, and will also appear at Chicago’s popular Spring Awakening festival in early June as well. Now that the tour’s first stop during Miami Music Week has come to an end, it’s time for us to pick ourselves back up and prepare for the next grand event. With this Anjunabeats North American Tour being fairly dispersed throughout the continent, there is no excuse as to why any Anjuna fan should be missing out on this year’s action. Anjunafam, mark your calendars, as one of the hottest tours of the year is officially in full motion!